Happy birthday, Ozma! It seems common among Oz fans to consider Ozma to be, in a way, our monarch, and Oz as a place we’d like to escape to someday if it were at all possible. 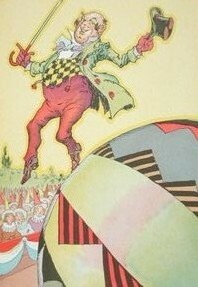 C. Warren Hollister’s essay “Oz and the Fifth Criterion” stated that a major part of the appeal of the Oz books was that they draw the reader in. It has been pointed out before, however, that Ozma isn’t always as kind or as intelligent as we’re constantly told. She’s also an absolute monarch who controls most of the magical power in Oz both by stockpiling it and outlawing its use by others. Well, I guess Glinda is more powerful and free to use magic however she wants, and is often the power behind the throne. 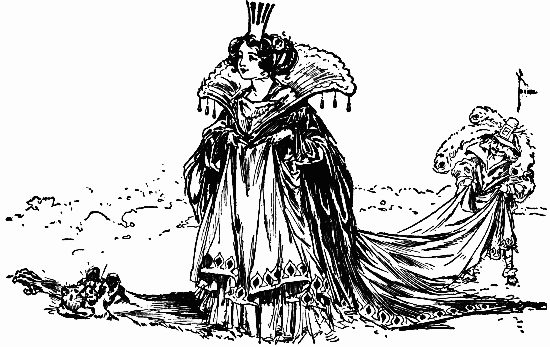 Ozma has the Magic Picture and Glinda the Great Book of Records, both of which can be used to find spy on others and find out private information. Ozma plays favorites and makes legal decisions to suit herself, and there are no obvious checks on her power. And with the disturbing anti-immigration trend in the United States, it’s probably worth noting that Ozma pretty much argues against accepting refugees into Oz in Tik-Tok of Oz. On the other hand, she rarely kicks out anyone who gets there on their own, and the few occasions when she does seem out of character. And Oz is nowhere near as big as the United States, and already pretty ethnically diverse. But since we’re repeatedly told Ozma and Glinda are good and do the right things, I guess that makes it okay. Has anyone ever used the term “theozdicy”? Since these are fictional characters, they can be defined in ways that real people can’t, but even with that in mind, they both seem to make mistakes occasionally. But then, maybe not being perfect makes them more identifiable. And really, I think a large part of Ozma’s appeal is that we, as readers, want to be her friend. She’s very charismatic and well-meaning, so even when she messes up, we like to think she’ll do the right thing in the end. And while her role as ruler means she can theoretically do whatever she wants, she does listen to the advice of her counselors and at least sometimes has juries for her trials. They’re generally very informal, but still present. And she generally leaves smaller countries within Oz to govern themselves as they see fit, unless she knows they’re causing harm to others like with the Skeezers and Flatheads. There was a discussion during OzCon about marriage in Oz, and that might be a topic I’ll expand upon in more detail in a later post, but for now I’d like to concentrate on a mention that there aren’t too many mentions of who’s officiating at these marriages. L. Frank Baum doesn’t address the topic at all as far as I can remember, but there are a few mentions in the Ruth Plumly Thompson books. Grampa has Prince Tatters and Princess Pretty Good married by a court official in Perhaps City called (rather unfortunately by modern standards) the Lord High Humpus. And in Jack Pumpkinhead, Belfaygor and Shirley Sunshine’s marriage is confirmed by “the highest judge at Ozma’s court,” who presumably isn’t Ozma herself but is otherwise not characterized at all. It’s interesting that Thompson, who tossed around terms like “Christendom” and “christening” and mentions of churches in her Oz books in a way Baum didn’t, still seems to view Ozian marriage as a civil matter. So there presumably are such officials in Oz, but we don’t hear much at all about them. Religion is generally glossed over in the Oz series, but something I’ve been thinking of recently is religion-adjacent rituals. When I hear about people insisting you should get in legal trouble for not standing during the national anthem at a football game, I don’t understand how that ISN’T mandatory state religion, even though there’s not necessarily a deity involved. I get that the ritual is important to many people, but that doesn’t mean others should be forced into it. Oz seems to be a very patriotic place, big on national rituals both for the land in general and its sub-kingdoms. The books are full of pageants and parades. People pretty much always dress in their national colors, and sometimes add “Oz” into various words. Whether Ozites are forced into this or just enjoy it is never really addressed, but we do know Ozma’s court is pretty informal, so she likely wouldn’t have anyone arrested for refusing to bow or whatever. This isn’t necessarily the case in the sub-kingdoms, but it often seems like the reason some of the tiny countries even exist is that the people like having royal families to admire, even if their power is rather limited. But we also see plenty of Ozites living out in the country and not showing any direct loyalty to minor monarchs. Yes, they’re still subjects of Ozma and their quadrant rulers, but they probably don’t run into them very often. I suppose the informality can be a potential liability at times, however. Tin Woodman tells us that there’s only one law in Oz, and that’s “behave yourself,” which is pretty vague (and perhaps contradictory to specific laws mentioned in previous books; people aren’t necessarily misbehaving when they use magic). But really, I guess there’s a lot about everyday life in Oz we still don’t know. This entry was posted in Characters, L. Frank Baum, Magic, Magic Items, Oz, Oz Authors, Politics, Religion, Ruth Plumly Thompson and tagged behave yourself, belfaygor, c. warren hollister, glinda, grampa in oz, great book of records, immigration, jack pumpkinhead of oz, lord high humpus, magic picture, marriage, monarchy, oz and the fifth criterion, ozcon international, ozma, patriotism, perhaps city, prince tatters, princess pretty good, refugees, ritual, shirley sunshine, the tin woodman of oz. Bookmark the permalink.